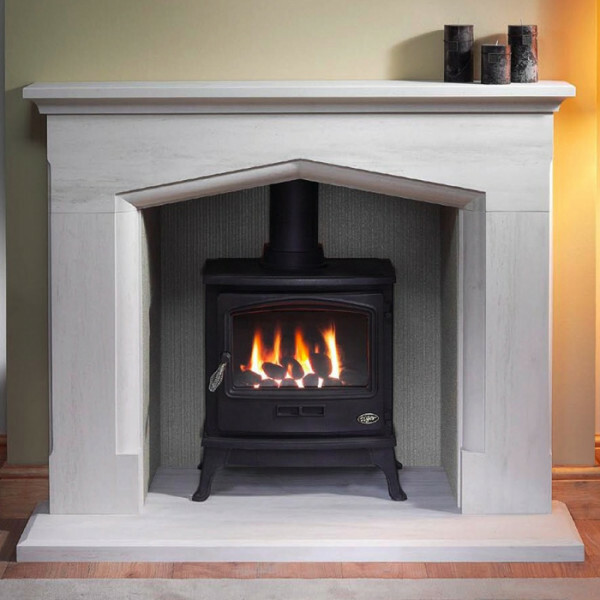 The Gallery Coniston Stone Fireplace with optional Tiger Gas Stove consists of the Coniston 54" stone surround, 54" x 15" outer hearth, inner hearth (may need to be cut down to suit firepace requirements), reeded fireboard chamber and optional Tiger gas stove. The Gallery Coniston stone surround has a shallow Tudor arch with moulding around the opening and chamfered outer edges. The Coniston stone fireplace is available in 3 different materials, either Chiltern Jura-stone, Perla micro marble or Portuguese limestone. All these materials are suitable for gas or electric stoves. However, we recommend they not be used with solid fuel. 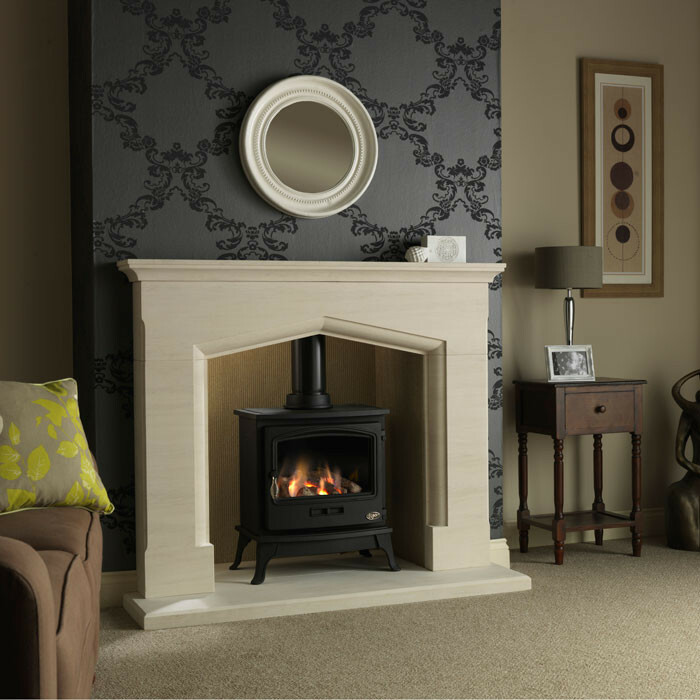 The Coniston stove suite is usually installed in a Class 1 chimney due to the chamber and hearth depth. 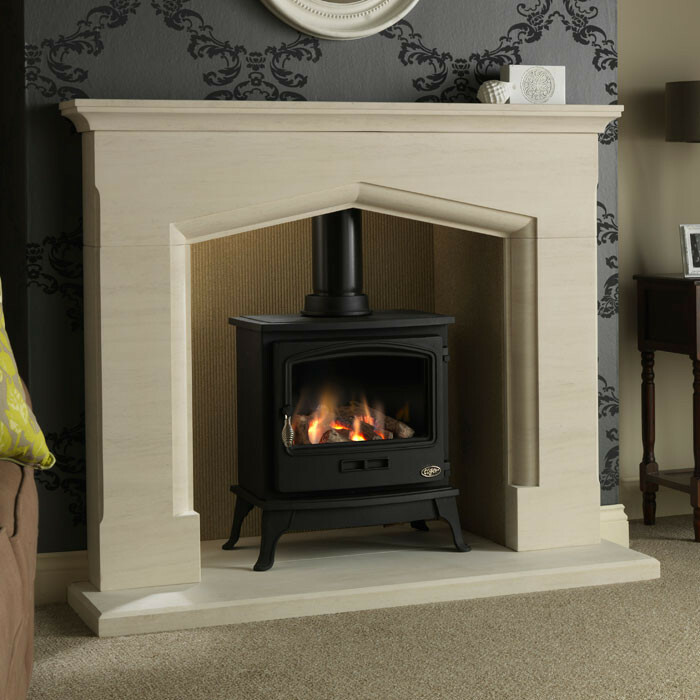 The 4.25kW Tiger gas stove is a real cast-iron stove built to a high quality standard and a great design, engineered for a hard working long life. Don't like this stove? Choose an alternative fire basket from our stoves section.